The fire and rescue service is shaking off its outdated image in a major drive to change the public’s perception of firefighters, a new report outlines today. 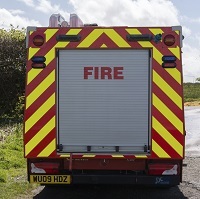 The Local Government Association (LGA), which represents all fire and rescue authorities in England and Wales, is launching ‘An Inclusive Service: The 21st Century Fire and Rescue Service’, at the LGA annual fire conference in Gateshead today. The report argues that while the role of firefighters has changed dramatically in the last few years, many potential recruits are deterred by outdated perceptions of the job. As the number of fires has more than halved over the past decade, the 21st century firefighter’s role has focused on community safety and harm prevention, with home safety visits - expanded to become safe and well visits in several areas - going beyond fire risk to address social care issues such as falls prevention, or alcohol use. The fire service is increasingly working in tandem with health partners, other emergency services and councils on issues such as modern slavery and co-responding with the ambulance service. Financial constraints have limited recruitment of firefighters in recent years - but that is changing, says the LGA. Most fire services in England now expect to recruit firefighters during the next five years - particularly within the next two, LGA research shows. With a firefighter workforce that is approximately 95 per cent white and male, 80 per cent of fire and rescue services are planning recruitment initiatives to encourage diversity. The LGA’s report is designed to encourage and assist this trend and stresses the need to challenge existing stereotypes of who can be a firefighter and what the job involves. Cllr Jeremy Hilton, Chair of the LGA’s Fire Services Management Committee, said: “The role of the firefighter has changed significantly and the perception of the firefighter role needs to change with it. “We are missing out on an enormous pool of talent because too many people think this is not a profession for them. No business would expect to thrive by doing this and nor can we. “We need to make the public understand the range of activities the job involves, if we are to attract the best recruits. “We want the 21st century firefighter to be perceived as just as likely to be a woman as a man, free of racial and identity stereotypes, as likely to be visiting schools to provide fire safety advice as running into a burning building. “Fire services across the country are already seeing some positive results from inclusivity recruitment initiatives to attract, develop and retain a more diverse workforce and it is vital that this work continues if fire and rescue services are to better reflect the communities they serve.